IN MOST APPLICATIONS BATTERY CABLE REROUTING WILL BE REQUIRED. 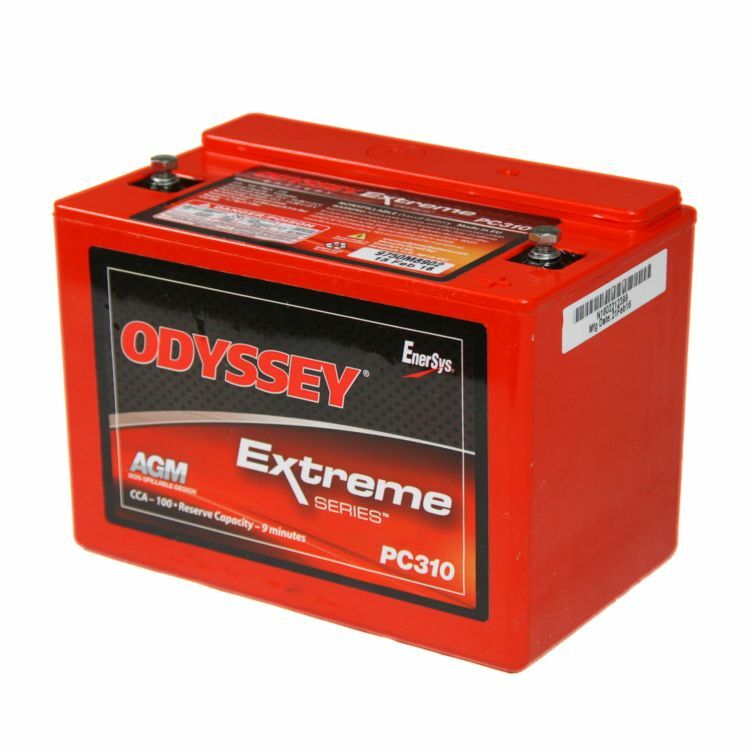 Odyssey (Drycell) batteries are military grade batteries and have endured rigorous tests that demonstrate their overall ruggedness and exceptional tolerance of mechanical abuse. The Odyssey 12 volt battery offers higher cranking amps and additional reserve capacity as compared to the stock battery. Adding water is a thing of the past, and corrosion will cease to exist. A couple of other great attributes are vibration resistance and low internal discharge rate, thus offering physical endurance and superior off-season storage potential. 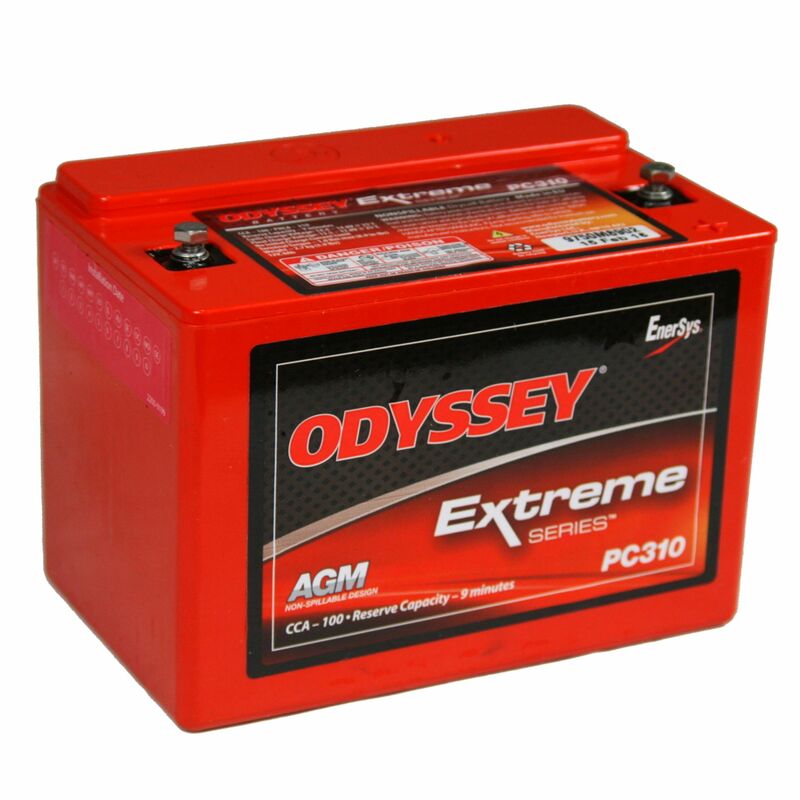 A life span of 5+ years can be expected if the Odyssey is fully charged and stored in the non-use season. 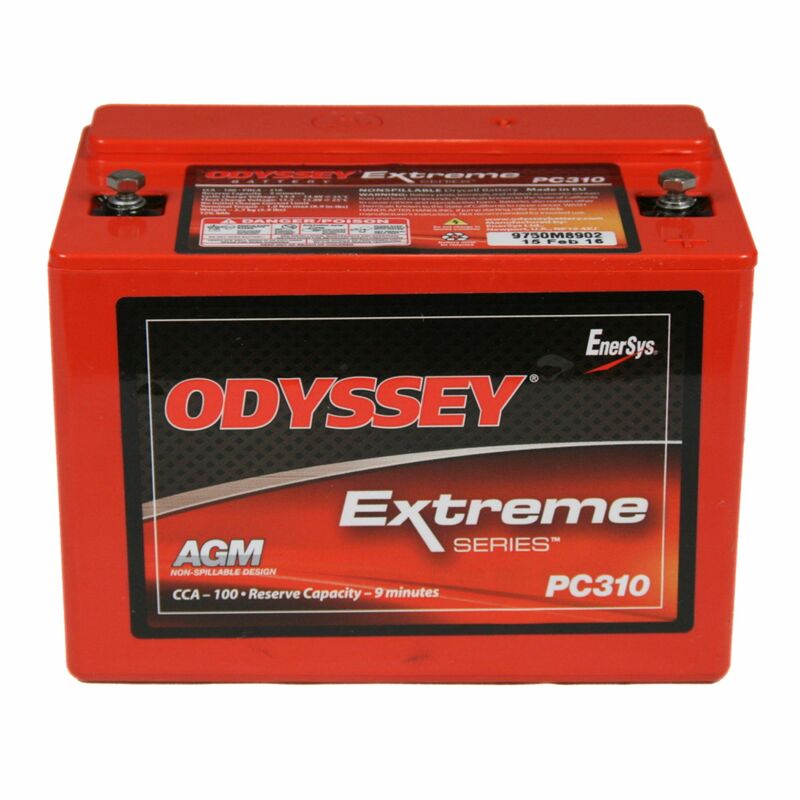 An unbelievable 2 year warranty is standard on this made in the United States battery. Odyssey is the best 12 volt battery you can buy, offering the most cranking power available of any battery its size, a whooping 310 amps for 5 seconds when fully charged. The physical case size of the PC310 12v was designed for military applications and may not be a perfect fit for your bike as it is sometimes a bit smaller, but more powerful, than the original battery. Do you own the PC310? Please, tell us what you think about it. It helps us provide you with better products. Please note that it may take up to 72 hours for your review to appear.